Remote temperature monitors find usage in a variety of different scenarios. Whenever there is a need to monitor the temperature of a particular area or space, a compact wireless monitor allows you to do so with ease. These devices are increasingly being designed to link up with smartphone apps, making the visualization and monitoring of data as straightforward as possible. ​Many apps even allow you to adjust the behavior of smart devices in your home based on temperature readings, allowing you to quickly react to any temperatures that are too high or low. ​Continue below to read the in dept individual reviews of the temperature monitors below, any questions do not hesitate to ask on our contact us page. 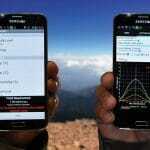 ​This temperature monitor from Temp Stick is one of the best all-round devices out there. No matter what you need to monitor, whether it’s a greenhouse, a music room, a walk-in freezer, or any other area in your home or place of business, the Temp Stick will give you excellent performance at a reasonable rate. This compact device is powered by a pair of AA batteries, which gives it enough juice for 6-12 months of usage, depending on how often you configure the sensor. Using a Wi-Fi connection, as opposed to Bluetooth, this makes the Temp Stick more reliable than the average temperature monitor. The use of Wi-Fi also makes it possible to connect to the device and monitor temperatures remotely, whereas a Bluetooth connection requires relatively close proximity to the device itself. With the Temp Stick, setup is as simple and straightforward as it could possibly be, and once it’s set up, the device is exceptionally simple to use. You can even set up a mobile hotspot with the device, which is perfect if you need to use it while on the road. The Temp Stick Wi-Fi thermometer is advertised as being easy to set up in just three minutes, a metric that it more than lives up to. It usually takes even less time than this to get going with the Temp Stick. The device comes factory calibrated, but users have the option of making adjustments to the calibration as they see fit. This is a useful feature if you have other devices in your home and you want to synchronize them. Any wireless temperature monitor that you use is only going to be as useful as the app that allows you to view and monitor the data. If the app is awkward to use, or the visualizations unclear, it isn’t going to be of much use to you. Whether you are an iOS or Android user, the accompanying app is simple and straightforward. It also allows you to access the entire history of archived data from the device. However, even if you don’t own a smartphone, you can use a laptop or computer to access a web-based interface for your device. 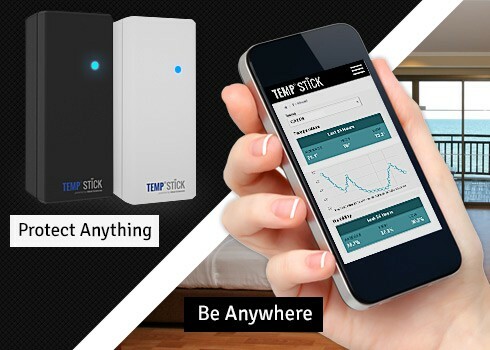 One of the most useful features of the Temp Stick is the ability to set up automatic alerts whenever the battery level dips below a certain level, or the device loses Wi-Fi connection. This is an often-overlooked feature that other remote temperature monitors lack; it is an essential feature for the most important applications, those where temperature fluctuations need to be responded to as quickly as possible. The Temp Stick takes readings as every five minutes, although you have the option of setting a longer interval if you wish. If the Temp Stick misses a reading, because of power or connectivity issues, an alert is automatically sent. The Temp Stick will continue to monitor and log temperature, making up to 100 entries, until it can connect and upload the data again. The ability to adjust recording intervals is great for extending the battery life of the Temp Stick. It provides options to record the temperature at 5, 10, 15, 30, or 60-minute intervals. Unfortunately, this means that true real-time temperature monitoring is impossible with this device, however, the five-minute interval time should suffice for most people’s usage. One thing to note is that the first two readings the device takes will be one hour apart; after the second initial reading has been taken, the device will begin recording according to your preferred time interval. With any remote temperature monitor, you want to be sure that the readings being taken are as accurate as possible. Fortunately, with the Temp Stick you don’t have to worry about this side of things. The Temp Stick is designed to operate in commercial freezer environments, where accuracy and reliability are of paramount importance. As a result, it is one of the most reliable and robust devices straight out of the box. The Temp Stick also has a comfortingly wide operating temperature range, performing without any issues at temperatures between -40 F up to 125 F. It can also handle any level of humidity (0 – 100%). This is a crucial selling point for many people. Remote temperature monitors used to require some form of monthly subscription, something which pushed them over the boundaries of affordability for many users. With the Temp Stick, there are no hidden costs or fees for you to worry about; once you have paid for the device, that’s all the money you need to spend. You might pay more upfront for the Temp Stick compared to other remote temperature sensors, but you definitely get what you pay for. This is a fantastic temperature sensor to use inside your own home, whether you need to monitor particular rooms, or even individual possessions. The SensorPush Wireless Thermometer has an impressive range of 325 feet with an uninterrupted line of sight, but any obstacles between the sensor and your smartphone will reduce this range somewhat. If Wi-Fi capabilities are important to you, you can buy a separate adapter that allows the SensorPush Wireless Thermometer to connect to Wi-Fi networks, but this will push the price up further. Adding this in will also reduce the compact nature of the device. The SensorPush Wireless Thermometer is small in size. In fact, it is the smallest device on this list, but it still features excellent build quality and is a small but sturdy unit. Weighing just 40g, and being such a small unit, the SensorPush Wireless Thermometer can easily be placed where it’s needed, whether that’s in a particular room, or in a smaller area such as a guitar case. The Swiss-made sensor component within the device is of the highest quality, ensuring consistent and reliable measurements. The built-in battery offers over a year of use; however, this can be affected by the temperature of its surroundings. Colder temperatures will lead to shorter battery life, but it takes quite extreme cold to seriously impact the device’s functioning. The SensorPush Wireless Thermometer takes temperature readings every minute, providing much closer to real-time measurements than many similar devices, and stores the last 20 days worth of readings on the device itself. This means that when your device is out of range or unable to connect to your smartphone, it will continue to take readings and upload them to your phone when a connection is re-established. The smartphone app allows the user to store an unlimited amount of data which is displayed in easily understandable timestamped graphs. You can even export the data into a CSV file, meaning you can open it in excel and view it as a spreadsheet. The SensorPush Wireless Thermometer is simple and straightforward to use. The device can be combined with an unlimited number of sensors, allowing for total monitoring of an environment. Individual sensors can also be monitored by as many devices as you choose. The only major downside to this device is the lack of Wi-Fi. While this can be addressed by purchasing an add-on for the device, it significantly reduces its compact nature, making it harder to squirrel away where it’s needed. The standout feature of the Ambient Weather WS-10-X4 is its ability to monitor input from a number of different sensors simultaneously; each device can receive inputs from as many as eight sensors. If you need to multiply the temperature of multiple locations in your home with a single device, the Ambient Weather WS-10-X4 is a fantastic choice. It is also more affordable than many similar devices, but still offers a decent amount of functionality for the price point. In addition to monitoring the temperature around your home, the Ambient Weather WS-10-X4 is also equally useful as a humidity monitor. The user can set up automatic alerts to be sent whenever the temperature and/or humidity enter certain ranges. You can even set up both audio and visual alerts through the device itself, and the included display console will show you the highest and lowest readings for each individual sensor. However, as with any piece of technology, there is a necessary trade-off between price and functionality. 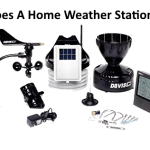 While you will pay less for the Ambient Weather WS-10-X4 than you will for similar devices, you will also be missing several features that could be deal breakers for some buyers. For example, the Ambient Weather WS-10-X4 uses a wireless signal to communicate with sensors. This means that the transmission range between the sensors and the console is limited. Users will also have to make do with the included display console; there is no accompanying app or web service for viewing readings and there is also no ability to store readings, either on the device or remotely. 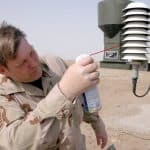 In spite of these drawbacks, the Ambient Weather WS-10-X4 is still an excellent option for those who need a wireless temperature sensor at an affordable price. Anyone who is looking to monitor temperatures within their own home, but doesn’t need the added benefits of automatic alerts of historic logs, will find the Ambient Weather WS-10-X4 an acceptable and affordable choice. 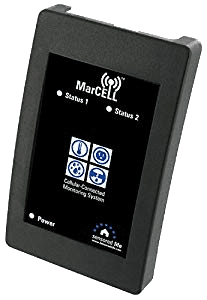 The MarCELL 500 is the perfect temperature monitor for locations with no internet connection, but where there is a need to keep a constant eye on the temperature. The use of a cellular data connection confers all the advantages of a Wi-Fi enabled device, such as the ability to check the temperature remotely, but without the need for a Wi-Fi connection. The use of cellular data does mean that you will need to pay a subscription, but these fees don’t dramatically affect the affordability of the device. In addition to being able to monitor the temperature and humidity of its environment, the MarCELL 500 is also able to connect to wireless water sensors, known as SPucks. 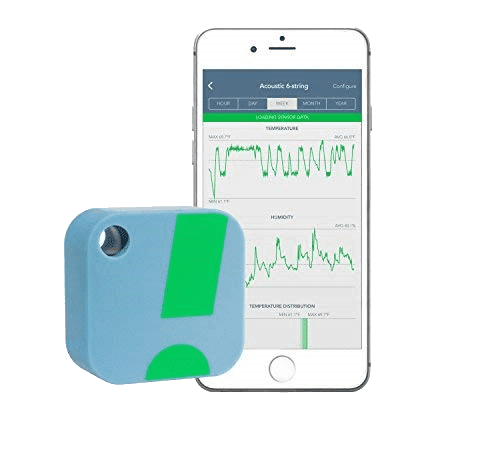 One of these SPucks is included in the box, but you can connect as many as 16 SPucks to the MarCELL 500, making this a great device for monitoring for water leaks and flooding. The biggest caveat with this device is that it is no use in areas without any cell reception. You will also have to factor in the subscription costs on top of the costs for the device itself. This is another remote sensor that favors an included display console. The sleek console makes this device an excellent choice for commercial businesses that require temperature-controlled storage. The battery life of this device is shorter than most, lasting just 6 hours, but it includes a DC adapter to allow for a constant supply of electricity. The Elitech RCW-800 connects easily to your Wi-Fi network and automatically uploads all the recorded data to Elitech’s online cloud service. If the device is unable to connect to the Wi-Fi, it will store the data until a connection is re-established, at which point it uploads all the readings it has stored. The data can then easily be viewed on a smartphone or computer. 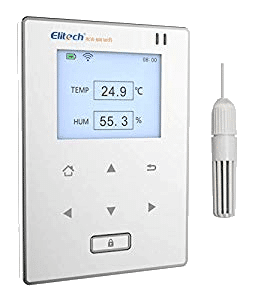 The wide range of operating temperatures, as well as the accuracy of the internal sensor, means that the Elitech RCW-800 is one of the best devices out there in its price range. The main drawback of this device is that it is less compact than the others on this list, and needs to be set up near to an AC power outlet. 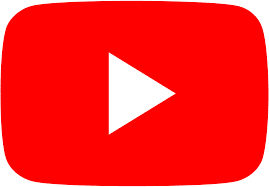 We went out and found the most relevant videos we could - give us some feedback if you can about the quality. Shopping for a remote temperature sensor / Wi-Fi Thermometer? Ensuring a stable temperature is critical if you are storing old and fragile materials, or if you have plants and animals in your home that require a particular constant temperature. Many people use temperature monitors to ensure that musical instruments such as guitars are kept at an optimum temperature, preventing them from slipping out of tune due to temperature fluctuations. These devices connect to a Wi-Fi, cellular, or Bluetooth network to allow them to communicate with smartphones and the corresponding app. With this connectivity, constant monitoring becomes simple and straightforward, whether you choose to use your smartphone, tablet, or laptop or computer to monitor the data. In the past, these devices have been bulky, unwieldy, and most importantly, expensive. In fact, many of these devices used to require the users to pay excessive monthly subscription fees. By contrast, the newer generations of these devices are small, portable, and much more affordable than they used to be. The older generations of devices were only suitable for professional usage, or a narrow range of specialist home users. Now, these are devices that the average person can easily afford to purchase and install wherever they are needed in the home. There’s a variety of different manufacturers operating in this space today, producing devices that can appear to be largely similar from the outside, but which in fact differ from one another in several key ways. 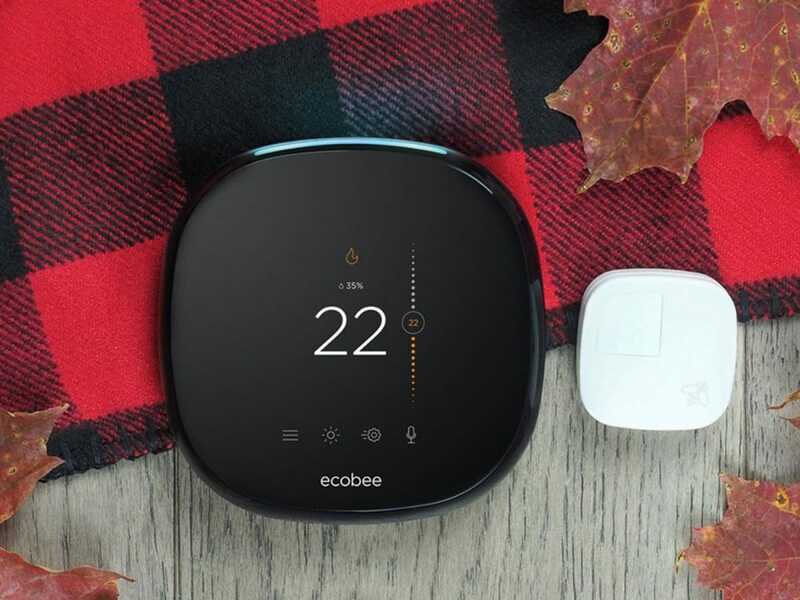 For this article, we have taken a look at a number of the different options out there for consumers who need a wireless temperature monitor, and come up with a list of five of the best devices everywhere. These devices all combine affordability and functionality, and represent the best value for consumers today. Your size requirements will depend upon where you are planning to install the device. For example, if you just need a device to monitor the temperature of a whole room, you can often get away with installing a relatively large device without it being intrusive. However, if you want to monitor the temperature of an instrument from within its case, for example, you will need a smaller unit. Many of the larger temperature monitors allow or require the use of an AC power supply. On the other hand, smaller units tend to be battery powered. Of course, with batteries that can last a year or more, this isn’t an issue for many people. The type of connectivity you should aim for will depend on a variety of factors. Wi-Fi connected devices will offer the greatest range, and allow you to access the devices and their data remotely/ Devices that use cellular data also offer this feature, but they will require additional subscription fees, and will only operate in areas where there is a cellular data signal. Bluetooth devices are short range, and their ideal range will be reduced by any physical obstacles such as walls and furniture. Some devices also use a proprietary wireless signal to communicate between devices and sensors. 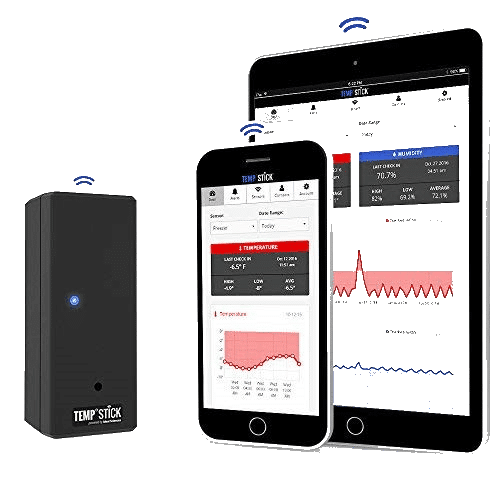 Both Bluetooth and proprietary connections are best suited for situations where you only need to monitor temperatures within a single location and don’t require remote access to data. Some remote temperature monitors are best at recording temperature logs, but offer little in the way of alerts to temperature fluctuations. This is fine for many people’s setups, especially where the devices are only being used in the home. However, where the need to keep a constant temperature is more important, and any changes to the temperature need to be addressed straight away, you should look for a device that offers SMS or email alerts. 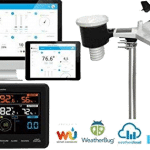 While remote temperature monitors are generally not marketed specifically towards businesses or individuals, it stands to reason that the more accurate devices would be better suited for business use. 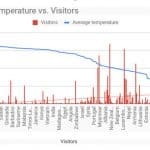 For example, if you are monitoring the temperature of a walk-in freezer for your business, the stakes are much higher than they are for your garden greenhouse. Make sure that any temperature sensor you buy offers an appropriate level of accuracy and a suitable range of operating temperatures.